On Friday, June 1st Canada’s National Ballet School (NBS) is hosting NBS Sharing Dance Day 2018 at the Vancouver International Children’s Festival. 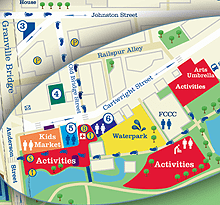 Events will take place at 12:00 pm and 4:00 pm outside Arts Umbrella Granville Island, located at 1286 Cartwright St.
NBS Sharing Dance Day aims to engage with communities and provide them with free, high-quality, culturally inclusive activities that empower Canadians to embrace the joy of dance. This year, two Canadian choreographers, Eugene “GeNie” Baffoe and Vancouver-based artist Michelle Olson, created a unique piece of choreography about the relationship between human kind and the environment. Canadians – of all ages and abilities – are encouraged to participate by learning the choreography and performing the piece on June 1st with Michelle! You can learn the choreography using free instructional videos available online. There will also be free workshops taking place at Arts Umbrella and Ballet BC. For more information, visit www.sharingdance.ca. 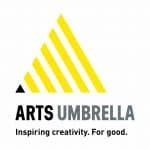 The Vancouver International Children’s Festival is thrilled to join Arts Umbrella and Ballet BC as a NBS Sharing Dance Day 2018 partner.